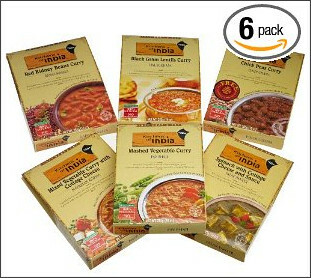 Amazon has a fantastic deal on Kitchens of India products! You can get a total of 50% OFF! on sale for $17.54. Sign up for Subscribe & Save to bring your total to $14.91. Apply code KITCHENI to bring your total even further down to only $8.77 for 6 meals! That makes each meal only $1.46, which is an amazing deal! Curry in a hurry--the taste is really authentic and so easy to prepare. Just heat it up! Add some basmati rice & you have a delicious Indian dish in minutes!